If you have watched the popular reality TV series, Flipping Vegas, you will definitely know who Amie Yancey is. But if you have not, then introductions are in order. Amie Yancey is a Canadian-born real estate aficionado. She and her husband, Scott Yancey are the brains behind a successful real estate firm known as Goliath Company. The duo has been able to parlay their expertise in house flipping into a TV series. They also conduct nationwide seminars on the topic. Want to know more about Yancey as well as her husband? We have got all the details below. Amie Yancey (nee Tollestrup) was born on the 30th of August 1967 in Alberta Province, Canada. Yancey hails from a large family, precisely a family of twelve. Her father’s name is Stephen while her mother’s name is Carol. Additionally, she has ten siblings. Even though there is not much information about Yancey’s parents, one thing that is certain is that they have a charitable heart. This is because four out of their ten children were adopted. Amie Yancey grew up on a ranch owned by her family in the town of Lethbridge, Canada. The ranch featured an assortment of domestic and exotic animals and instilled in her a love for animals which she still has till this day. For high school, Amie Yancey attended the Lethbridge Collegiate Institute. She thereafter moved to the United States to get a college degree. It was while in college that she met future husband, Scott Yancey. Amie Yancey is married to real estate investor as well as author, Scott Yancey. They got married in 2001 in St. John Island. St. John is an incredibly beautiful but small island located in the U.S Virgin Islands. 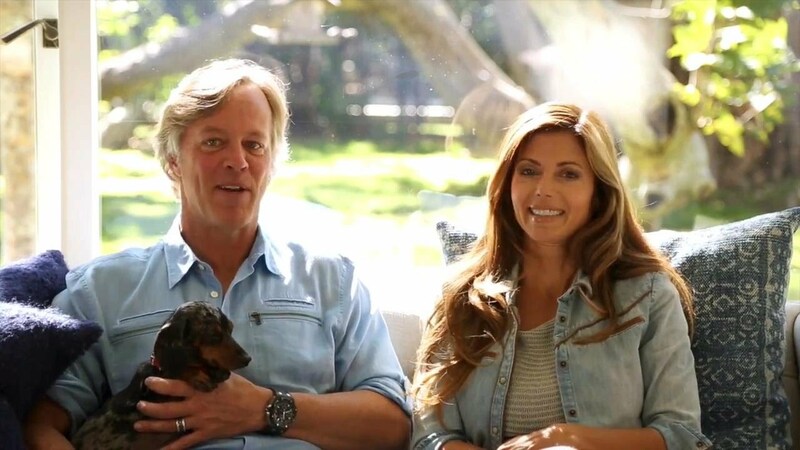 Scott Yancey is American and a native of Los Angeles County California. He got into real estate when he was just a teenager. By the time he was in college, he was working as a runner and land scout for a real estate investor. Scott spent some years working for others before deciding to become his own boss in 2008. This was when he established his real estate firm known as Goliath Company. The company is based in Las Vegas and invests in properties for profit. Amie Yancey and her husband do not have any kids together but she has a daughter from a past relationship. Her name is Sarah. Amie Yancey and her husband are the stars of a TV series known as Flipping Vegas. The show debuted on the A&E network in 2011 and ran until 2014. It follows the couple, as well as their team, as they flip houses in the Vegas area. They basically buy a dilapidated but low-priced house and renovate it within a short period and a low budget. They thereafter sell the house at a profit. Scott is the head honcho of the operation while Amie (an experiment interior designer) oversees the finer aspects of the house’s interior. Amie Yancey is renowned for her professionalism and does not believe in cutting corners. She rather subscribes to the belief that everything should be top notch. As a result of this, she often butts heads with her husband who tries to minimize costs. However, the couple easily overcomes their fiery arguments. Flipping Vegas is not just profit-oriented as they have been involved in some charitable activities. They have collaborated with NGOs to provide homes for injured veterans of the U.S. Army. Amie Yancey has a net worth of $5 million. Her source of wealth includes earnings from the Goliath Company as well as the reality TV series, Flipping Vegas. After renovating a particular home, the series organizes an open house during which prospective buyers can take a tour. The houses are then sold at a profit. The Yanceys also organize nationwide seminars on house flipping, thanks to their expertise in the sector. The seminars feature mentorships, information on how to find ideal houses for flipping as well as how to get funding. These seminars don’t come cheap. The first stage costs $2,000 while the later stages cost as much as $30,000. 1. Since relocating to Las Vegas in 2004, Amie Yancey has sold not less than 700 homes. 2. She is passionate about riding dirt bikes and owns 8 motorcycles. 3. She and her hubby are big time animal lovers. They own three dogs including a beloved dachshund known as Tallulah. They also own horses, donkeys, and even pigs. 4. Her family is quite well to do. The Tollestrups own a construction firm established since 1949. 5. She and her husband donated home to an injured army vet on one episode of their show.